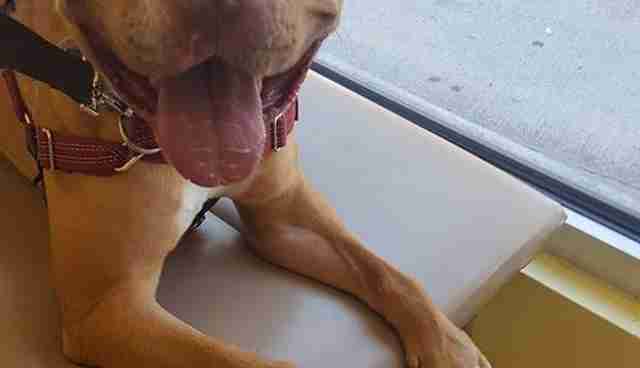 By the time 3-month-old Avery arrived at the Chicago shelter late on a Sunday night, she must have been in tremendous pain. Someone, after all, had broken 17 of her bones and dislocated her hip. 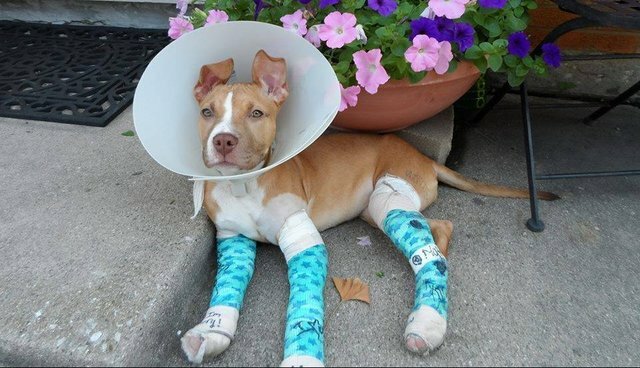 "All her feet were broken, all her digits," Linda Montgomery, cofounder of Twenty Paws Rescue, told The Dodo. "We believe there was forced trauma to her head." Luckily, two volunteers from the rescue - which pulls dogs from public shelters in different cities - happened to be there and decided to save her and find her a loving family. That day in 2013 should have been the start of a beautiful life. But, three years later, a forever home is still just a dream. 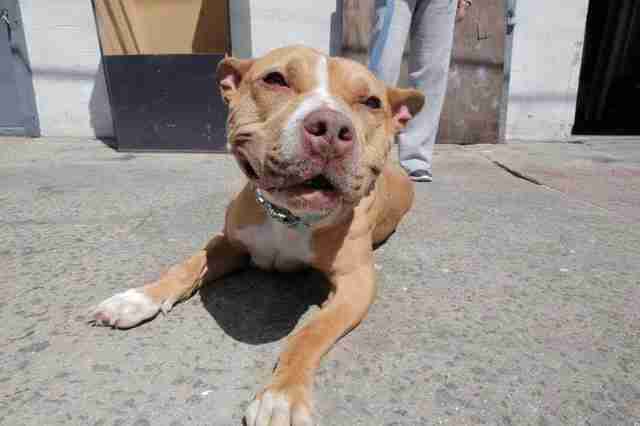 From her broad smile and happy tail flaps, you would never know that Avery has been waiting this long. "She's so resilient. 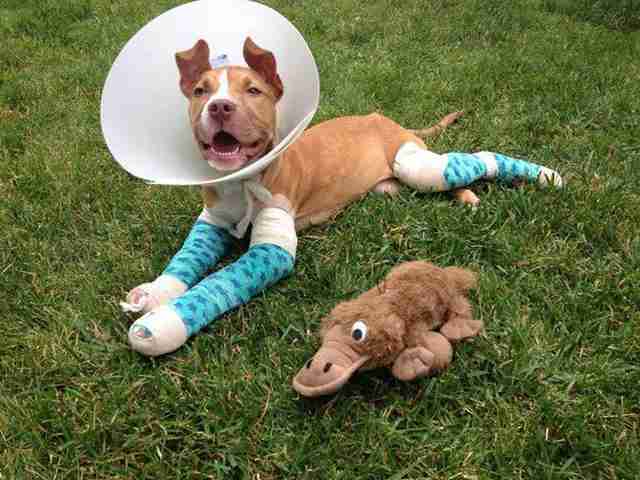 I'm telling you, this dog has been through more than any other dog we've had," Montgomery said. "She's got the biggest smile all the time; her tail is also wagging no matter what." Avery now resides in a boarding facility in New York City (Twenty Paws is based in Brooklyn), where she patiently waits. She's had a few heartbreaks: She's been adopted and returned three times because she didn't get along with other animals. She's now looking for a home where she's an only child - and she's ripe for all that attention. "She's just ready to live her life as somebody's best friend," Montgomery said. Avery's very laid-back, Montgomery added, and she's looking for a home that's as relaxed as she is. 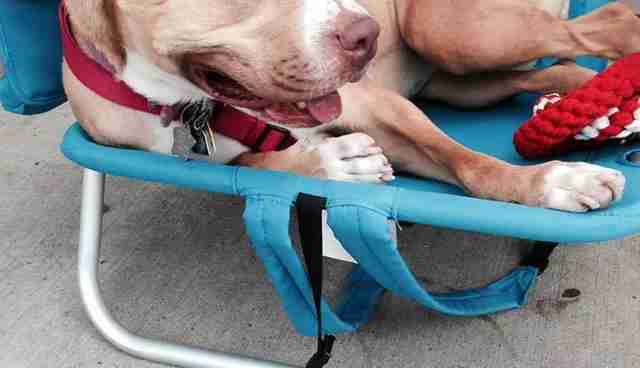 Because of her past trauma, her legs will never be normal, and so she prefers shorter, less-intense walks. "It's almost like her imperfections make her perfect because she doesn't know," Montgomery said. "She doesn't know she has such severe injuries." 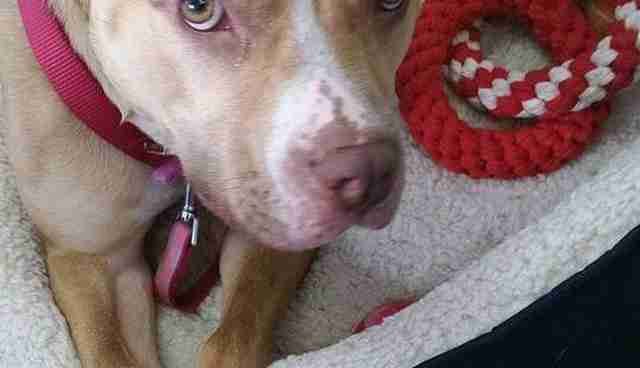 If you're able to give Avery the home she deserves, get in touch with Twenty Paws. You can email them at twentypawsrescue@gmail.com. They are accepting applications from potential families in the New York tri-state area, Pennsylvania and New England. If you're not nearby, you can find a dog like Avery in your area at Adopt-a-Pet.com.